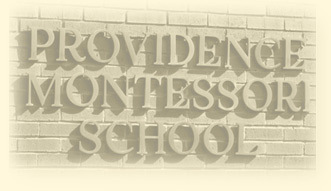 We are Providence Montessori School, an authentic Montessori school accredited with the American Montessori Society. to be citizens who better our world. Our vision is for all children to reach their full potential as collaborative and independent learners, by providing a Montessori education that nurtures their spirits, as they become engaged citizens of the world. Providence Montessori School provides an authentic Montessori prepared environment that affords each student the opportunity to determine his or her own individual, academic path through the use of Montessori methodology, materials, experiential lessons, and project-based learning. Under the guidance of trained Montessori teachers, students, ages 18 months to 14 years, are able to maximize their potential and develop intellectually, morally, socially, emotionally, and physically – emerging prepared to succeed in the modern world and become responsible citizens of the global community.